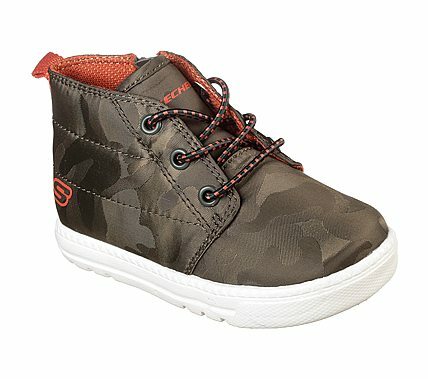 He'll march along in cool style and comfort with the SKECHERS Lil Lad - Camo Clique shoe. Soft woven camo print fabric upper in a slip on stretch laced mid high top casual sneaker with stitching and overlay accents. Gel Infused Memory Foam insole.